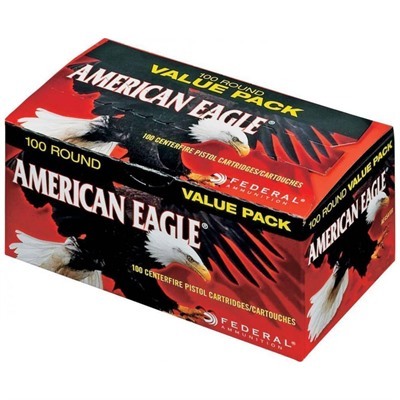 Federal American Eagle 9mm Luger 115gr FMJ ammo offers outstanding performance at an economical price - perfect for punching paper at your favorite indoor or outdoor range. 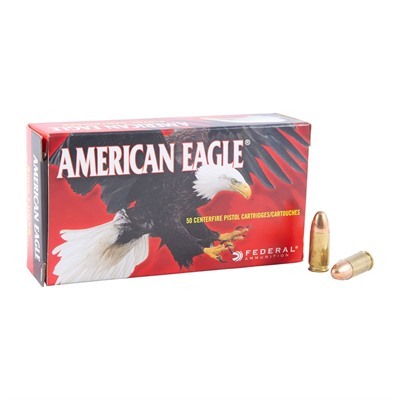 Federal American Eagle 9mm Luger 115gr FMJ lets you practice with the same-strength load you'll actually use on duty, in competition, or in a personal-defense emergency. Federal American Eagle 9mm Luger 115gr FMJ ammo ensures your gun shoots the same when punching paper as it will when every shot is critical.